If there’s one thing that Young Money Entertainment artist Shanell would like to tell fans in Michigan, it is that she’s not from Detroit. Shanell, along with fellow Young Money artists Lil Wayne, Young Jeezy, Soulja Boy, Jeremih and Pleasure P, are returning to the Detroit area to perform at the DTE Energy Music Theatre on Sunday. Shanell, also known as SNL, is a quickly rising pop/rock/urban artist signed to Lil Wayne’s Young Money Entertainment. She has collaborated with Ne-Yo, Usher, Keri Hilson, written songs for Danity Kane, Kelis and most recently co-wrote Lil Wayne’s breakthrough rock/urban hit “Prom Queen,” the first single off the upcoming “Rebirth” album. Next up she will appear on the “Young Money” Compilation and “Rebirth” albums as well as a European Tour with Lil Wayne. The Young Money family, which also includes Nicki Minaj, Drake (who was originally on the tour but sustained a leg injury), Jae Millz, Lil Chuckee, Lil Twist, Mack Maine, T-Streets, Tyga, Bow Wow and Gudda Gudda, takes a unique approach to writing and recording. “We just go in the studio and we work,” Shanell said. “If I have a song that I worked on and I want Nicki Minaj to get on it, I’ll call her to get on it. 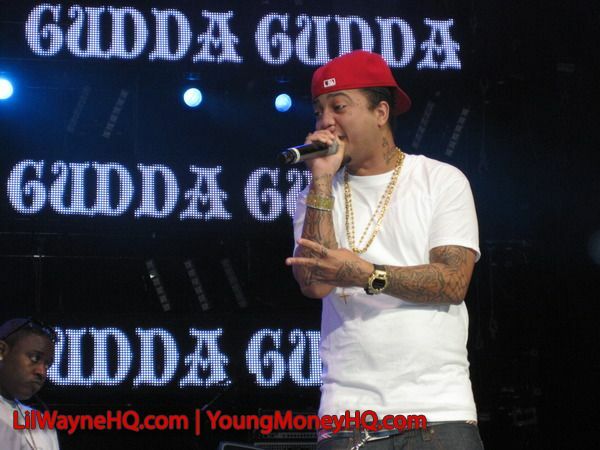 If Gudda has a song and he thinks I will be great for the hook, he’ll call me to get on it. “Once we create all this music, we pick and chose what’s going to go on what. ‘This is gonna go on your album, this on ‘Young Money’ album, this is going to go on ‘Rebirth.” It’s different. I think that’s why Young Money is such a strong family. It’s such a strong family of musicians. We’re all really good creative people and we create like that. A lot of people focus on one song, ‘This is going to be the single,’ ‘This is going to be the second single.’ We don’t do that. We go in and we’re free to create and listen to it and whatever works for whatever album, or situation, that song will go there. Months after Drake signs with Universal Records, another intense bidding war ensues, resulting in Nicki Minaj signing with Lil Wayne’s Young Money label. During the last two years Minaj has emerged as one of the premiere rappers, choosing to fore go earlier label offers in order to establish a stronger fan base by way of the internet, promotional touring and a series of mixtapes. After the release of Playtime is Over and Sucker Free, it was her third mixtape, the critically acclaimed Beam Me Up Scotty with featured appearances from Lil Wayne, Gucci Mane, Busta Rhymes, Bobby V and Drake that caught the attention of music industry heavy weights. The battle among labels to sign Minaj heightened this summer and finalized with Minaj signing an exceptional and very unique deal with Young Money/Universal, where she retains and owns all of her 360 rights, including merchandising, sponsorships, endorsements, touring and publishing. Minaj’s debut album is anticipated to be released in early 2010 and will be distributed through Universal Motown. Minaj is currently appearing with Lil Wayne at sold-out arenas throughout the country on the America’s Most Wanted tour, which also features Young Jeezy, Soulja Boy and more. Minaj continues to be managed by Mizay Enertainment’s Debra Antney who also represents Gucci Mane. Here is the official music video for Trey Songz‘s single “Successful” featuring Drake. This version of “Successful” is from Trey‘s album Ready, and it doesn’t feature Lil Wayne, but Songz does add an extra verse. Here are some pictures and videos of Young Money tearing down Noblesville on August 28th on the America’s Most Wanted tour. You can see the photos and videos of their performances after the jump below and props goes to Brenda. Click here and here to see more pictures posted at LilWayneHQ!